Natural Gas research papers discuss the crisis in the demand for natural gas and report the need for alternative fuels. Natural Gas research papers report that the increase in natural gas demand on a global basis has been relatively consistent at a rate of approximately 4% per year since the early 1970s, with current consumption of natural gas at approximately 100 billion cubic feet annually. There are various projections regarding the rate of growth of the demand for natural gas, with some estimates indicating that it will be as high as 150 billion cubic feet annually by 2010. The rate of growth in demand for natural gas has also been higher than the rate of growth in demand for any other type of fossil fuel. This growth in demand has been propelled by a number of factors. Natural gas is perceived as a clean fuel and is relatively environmentally friendly. When burned, it leaves very little hydrocarbon residue when compared to other types of fuels. Demand for natural gas has increased due to the higher levels of industrialization in many parts of the globe, with developing nations using more natural gas for their fuel needs. The rate of consumption of natural gas is directly linked to the level of development in a nation, with the more highly developed and industrialized nations consuming a greater amount of the resource. An additional factor driving the demand for natural gas is its relative ease of transport through pipelines. While it is also possible to transport natural gas over the ocean to pipeline heads through the use of ships designed to carry liquefied natural gas (LNG), this method has been considered uneconomical until recently. Although existing supplies and the discovery of new reserves have managed to keep pace with the growth in demand for more than two decades, there is some emerging evidence that the growth rate in demand will be constrained by the lack of available production resources and transportation issues. For example, the rate of increase in global natural gas production in 2001 was only 1.6% while the rate of increase in the amount of natural gas delivered by pipelines in 2001 was 3.3%, both of which are below the increase in global demand. This imbalance between supply and demand is the result of the industry’s failure to develop sufficient production systems in a timely manner to meet the forecast in demand. The outcome of this problem will be regional shortages in supply in certain areas of the world that do not have a sufficiently well developed production and transportation infrastructure. In effect, the actual reserve levels of natural gas will remain adequate to meet the growth in demand, but there will be significant difficulties with extracting the product and transporting it to market. 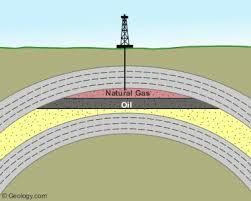 Substitutes For Natural Gas research papers overview the global energy demand for energy producing commodities. Resource Wars - Resource Wars research papers discuss the book, written by Michael T. Klare, about how irreplaceable natural resources are becoming scarce. Hydraulic Fracturing - Hydraulic Fracturing research papers look into the process, also known as fracking, whereby rocks are fractured though the use of pressurized liquid. Alternative Fuels - Alternative Fuels Research Papers provide research on Alternative Fuels and foreign fuel dependence. Energy Efficient Building - This applies both to the corporation itself that is engaged in operating commercial buildings and to the employees that must use any environmentally friendly codes. Coastal Erosion Research Papers study this ecological hazard and the erratic weather. Order a research paper on coastal erosion from Paper Masters. Paper Masters writes custom research papers on Natural Gas and discuss the crisis in the demand for natural gas and report the need for alternative fuels.